Saturday nights are perfect in so many ways. You didn’t go to work today.You don’t have to go to work tomorrow. You can be totally lazy (hey, you’ll be productive tomorrow, right?) Saturdays are also usually “date night”– you know, you go out to a nice dinner and maybe a movie? Maybe you splurge a little budget-wise or calorie-wise? Well after working through last weekend and both full weeks surrounding it, Geoff and I needed a date night… but also a lazy night at home. The solution? An Asian inspired meal eaten at a candlelit table in sweats. I always keep empty glass jars in the house (salsa, mustard, jam). 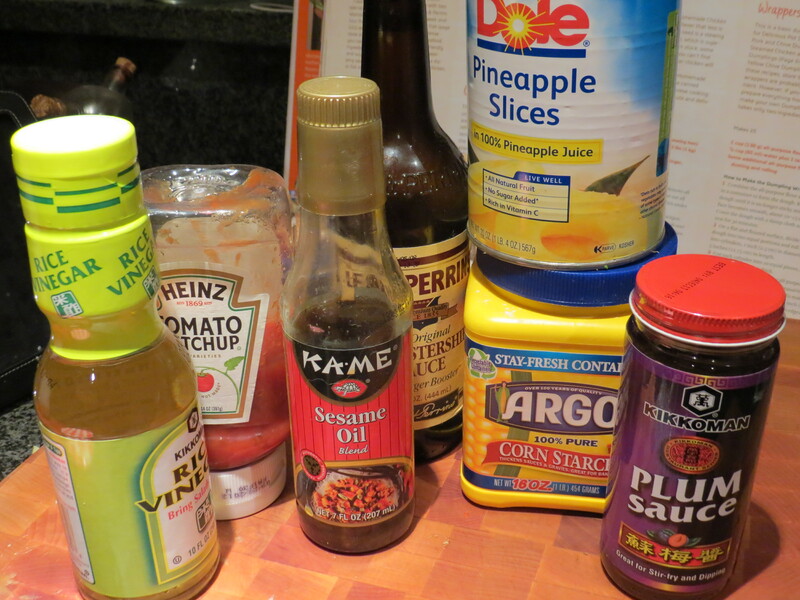 They are perfect for mixing sauces or salad dressings. That’s what I use to mix this sauce. 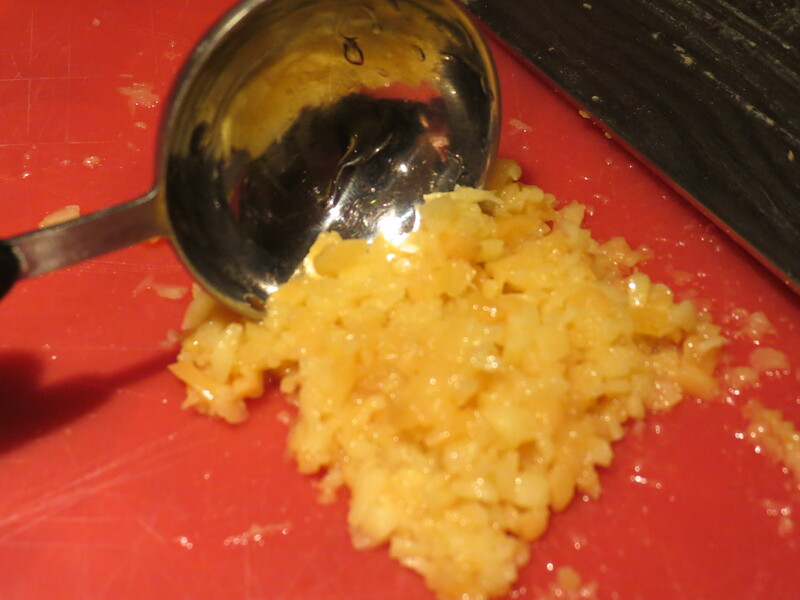 I wanted the ginger and garlic to really penetrate and flavor these meatballs so I ended up making a ginger garlic paste by running my knife through both ingredients and then using the side of the knife to smash them together. 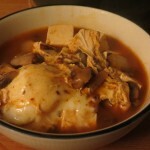 The mushrooms were my way of keeping the pork moist and bulking out the meat with veggies. As you can see I tried to chop all ingredients into pretty tiny pieces that way you didn’t end up with a meatball that was half mushroom. 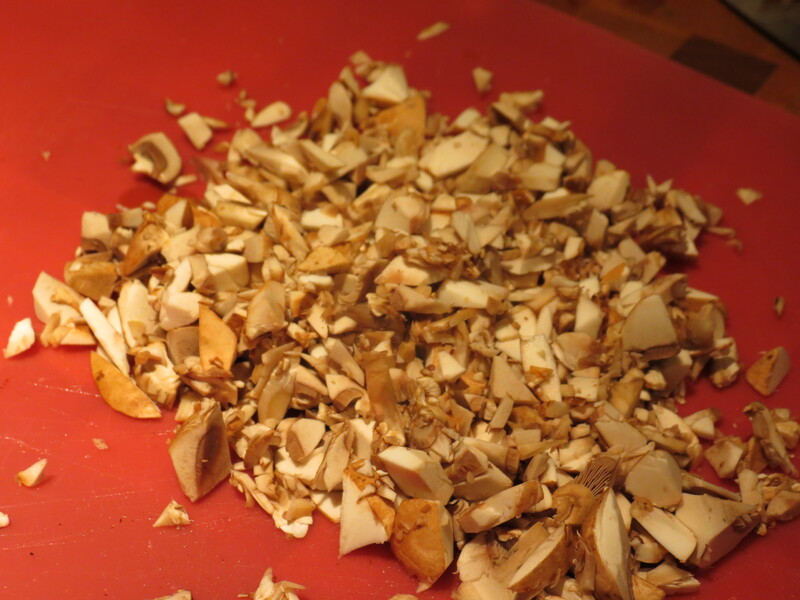 Add all the ingredients into a bowl and mix until evenly distributed. 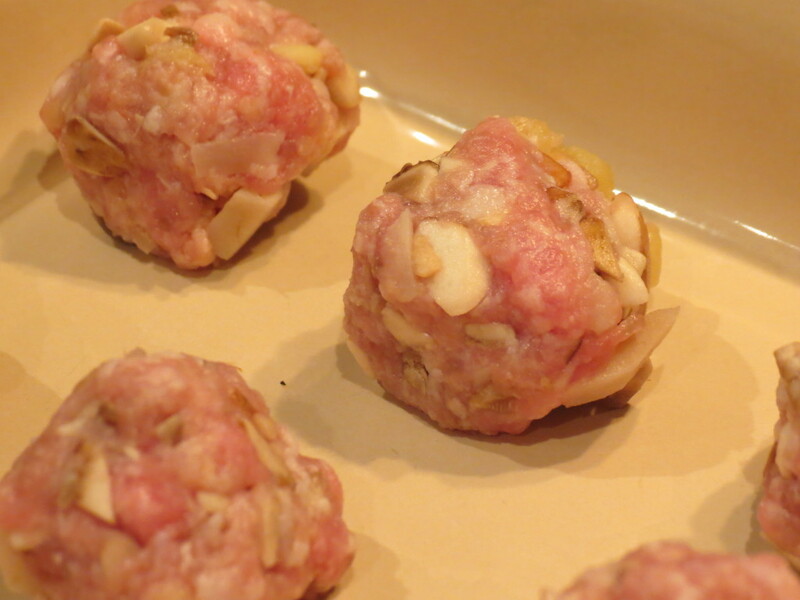 I used a tablespoon measure to help keep the meatballs evenly sized. 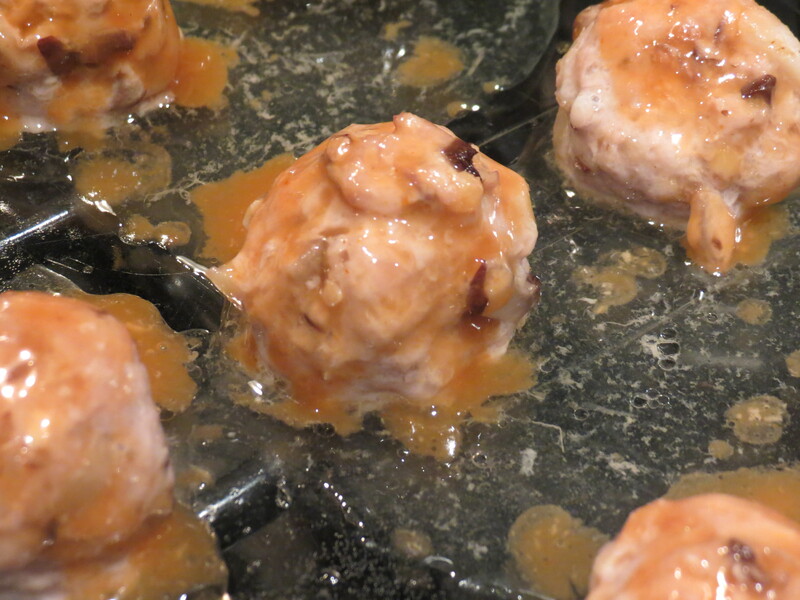 Bake meatballs at 375 for 18 minutes. After 18 minutes, remove from oven and brush on sweet and sour sauce. This should use up about half of the sauce and you can reserve the rest for dipping (or store in your fridge for later). Return to oven and bake for 5 more minutes. The recipe made 24 meatballs and was 6 points + for a serving of 4. 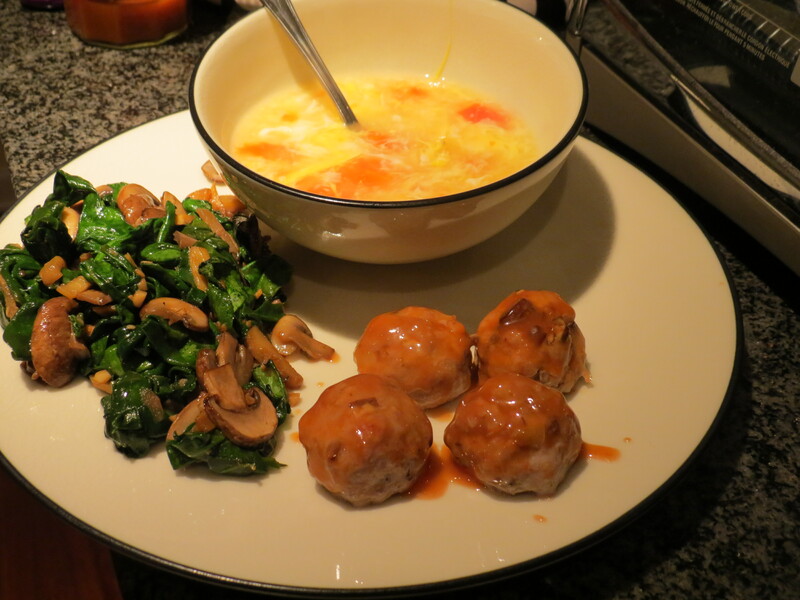 As you can see I served this with the egg drop soup and some ginger, garlic, and soy sauteed mushrooms and spinach. This whole meal took about 40 minutes including cooking time and the timing for all 3 dishes worked out perfectly! I hope you treat yourself to a lazy date night soon! Making an out of the ordinary (but easy and healthy) dinner like this can make your Saturday at home feel just as special as going out to a fancy restaurant.